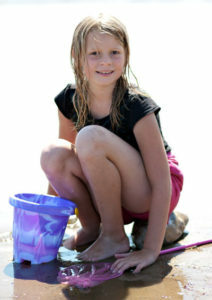 "Nothing beats your kids being happy"
"Just the break we needed"
"It's a shame we're going home"
Meet Sophie, aged 12. Sophie is the main carer for her mum, Ruth, who is registered disabled. Ruth’s disability is the result of severe domestic violence from Sophie’s father – abuse that Sophie often witnessed first-hand. It is now 18 months since Sophie’s father left, and the family have worked hard to put their lives back together. Every day, Sophie helps with all aspects of caring for Ruth: she does the housework, cooks, helps her mum to dress and clean, and lots more besides. Perhaps the most important aspect of Sophie’s care is the emotional support she provides for her mum. Sophie will keep her company in times of loneliness, reassure and encourage when she is feeling low, and constantly check on her mum to see if she has everything she needs – often getting up during the night to do so. friends, leaving her feeling isolated. Sophie is a resilient person, but being a young carer in such challenging circumstances is putting enormous strain on her own mental and physical health. Sophie’s local carers group recently got in touch with the Family Holiday Association to see what we could do to help. We were delighted to be able to fund a visit to the seaside for Sophie and Ruth as part of a group trip including other families in similar situations. This simple day out changed Sophie’s life dramatically. At the beach, she was able to run around and play, paddle in the sea, and eat ice cream just like any other child her age. And with the support of the rest of the group, she spent less time worrying about her mum and was able to build new relationships. Sophie tells us the day out helped her to feel like a child again and that it has had a lasting impact on both her and Ruth. Just a brief respite from their daily struggles has enabled them to create long-lasting happy memories that they can draw on when times are tough. It has also given Ruth the confidence to get out more and research other local day trips she can take part in with Sophie. The benefits of a simple day out are remarkable, particularly when they are relatively inexpensive to arrange. By donating whatever you can to the Family Holiday Association today, you can rest assured it will go a long way in turning sadness to happiness and dreams into reality.